I just picked The Reds to beat Borussians on Thursday for free on SportsPlays.com. I just picked a 2-team parlay which will pay $9.38 for $0.50 for free on SportsPlays.com. You will receive back 9.88 for a win. Your pick has been entered! You have played 1 day(s) in a row. 6 more days & earn $0.70 bonus! 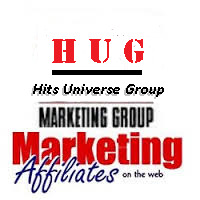 Click here to go ad free! In the movie Interstellar, the main character Cooper escapes from a black hole in time to see his daughter Murph in her final days. Some have argued that the movie is so scientific that it should be taught in schools. In reality, many scientists believe that anything sent into a black hole would probably be destroyed. But a new study suggests that this might not be the case after all. The research says that, rather than being devoured, a person falling into a black hole would actually be absorbed into a hologram – without even noticing. The paper challenges a rival theory stating that anybody falling into a black hole hits a “firewall” and is immediately destroyed. Forty years ago Stephen Hawking shocked the scientific establishment with his discovery that black holes aren’t really black. Classical physics implies that anything falling through the horizon of a black hole can never escape. But Hawking showed that black holes continually emit radiation once quantum effects are taken into account. Unfortunately, for typical astrophysical black holes, the temperature of this radiation is far lower than that of the cosmic microwave background, meaning detecting them is beyond current technology. Hawking’s calculations are perplexing. If a black hole continually emits radiation, it will continually lose mass – eventually evaporating. Hawking realised that this implied a paradox: if a black hole can evaporate, the information about it will be lost forever. This means that even if we could measure the radiation from a black hole we could never figure out it was originally formed. This violates an important rule of quantum mechanics that states information cannot be lost or created. Another way to look at this is that Hawking radiation poses a problem with determinism for black holes. Determinism implies that the state of the universe at any given time is uniquely determined from its state at any other time. This is how we can trace its evolution both astronomically and mathematically though quantum mechanics. This means that the loss of determinism would have to arise from reconciling quantum mechanics with Einstein’s theory of gravity – a notoriously hard problem and ultimate goal for many physicists. Black hole physics provides a test for any potential quantum gravity theory. Whatever your theory is, it must explain what happens to the information recording a black hole’s history. It took two decades for scientists to come up with a solution. They suggested that the information stored in a black hole is proportional to its surface area (in two dimensions) rather than its volume (in three dimensions). This could be explained by quantum gravity, where the three dimensions of space could be reconstructed from a two-dimensional world without gravity – much like a hologram. Shortly afterwards, string theory, the most studied theory of quantum gravity, was shown to be holographic in this way. Using holography we can describe the evaporation of the black hole in the two-dimensional world without gravity, for which the usual rules of quantum mechanics apply. This process is deterministic, with small imperfections in the radiation encoding the history of the black hole. So holography tells us that information is not lost in black holes, but tracking down the flaw in Hawking’s original arguments has been surprisingly hard. 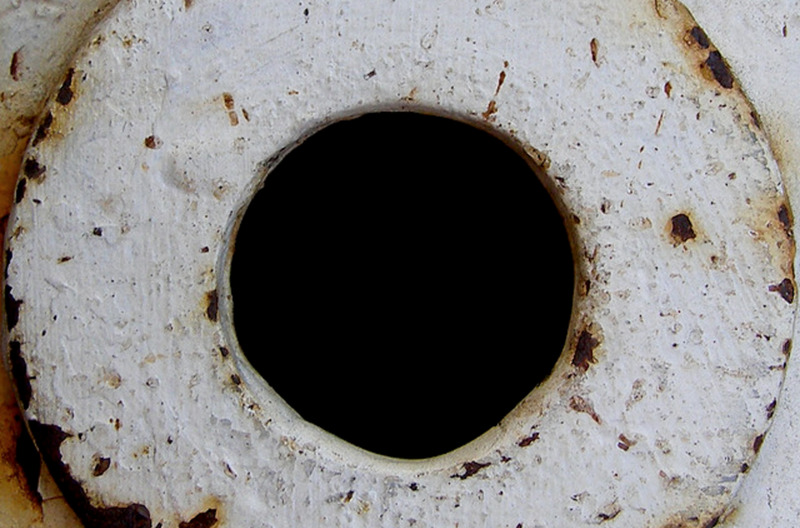 But exactly what the black holes described by quantum theory look like is harder to work out. 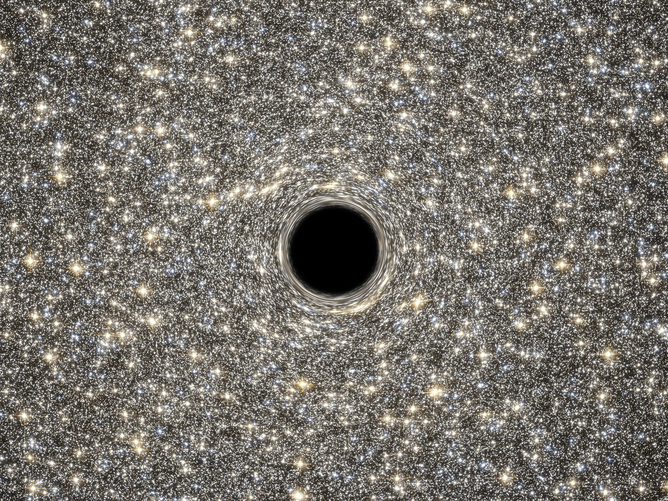 In 2003, Samir Mathur proposed that black holes are in fact fuzzballs, in which there is no sharp horizon. Quantum fluctuations around the horizon region records the information about the hole’s history and thus Mathur’s proposal resolves the information loss paradox. However the idea has been criticised since it implies that somebody falling into a fuzzball has a very different experience to somebody falling into a black hole descried by Einstein’s theory of general relativity. The general relativity description of black holes suggests that once you go past the event horizon, the surface of a black hole, you can go deeper and deeper. As you do, space and time become warped until they reach a point called the “singularity” at which point the laws of physics cease to exist. (Although in reality, you would be die pretty early on on this journey as you are pulled apart by intense tidal forces). In Mathur’s universe, however, there is nothing beyond the fuzzy event horizon. Currently, a rival theory in quantum gravity is that anybody falling into a black hole hits a “firewall” and is immediately destroyed. The firewall proposal has been criticised since (like fuzzballs) firewalls have drastically different behaviour at the horizon than general relativity black holes. But Mathur argues that to an outside observer, somebody falling into a fuzzball looks almost the same as somebody falling into an Einstein black hole, even though those falling in have very different experiences. Others working on firewalls and fuzzballs may well feel that these arguments rely on properties of the example he used. Mathur used an explicit description of a very special kind of fuzzball to make his arguments. Such special fuzzballs are probably very different to the fuzzballs needed to describe realistic astrophysical black holes. The debate about what actually happens when one falls into a black hole will probably continue for some time to come. The key question is to understand is not that the horizon region is reconstructed as a hologram – but exactly how this happens. 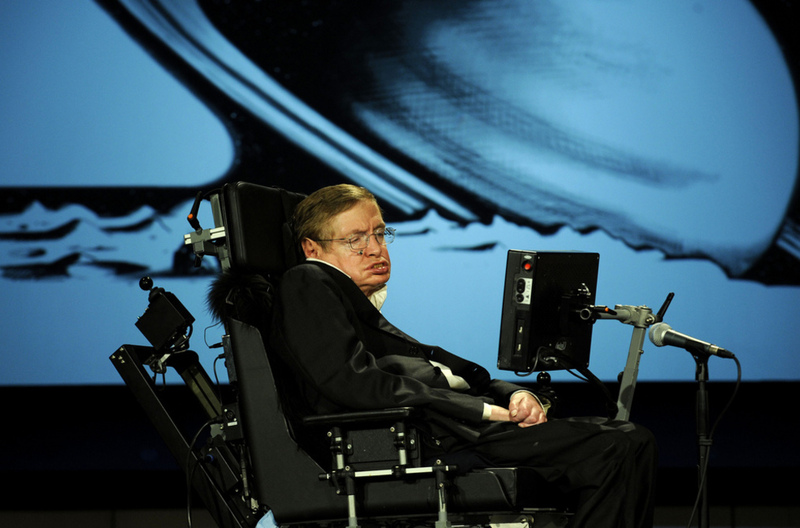 Grey is the new black hole: is Stephen Hawking right? Fancy a Surprising Alternative and Enjoyable Dinner? 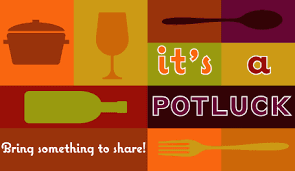 Organize a Potluck! There is nothing as nice as a dinner with friends. Do you want to make these meals even more enjoyable, budget friendly and surprising? 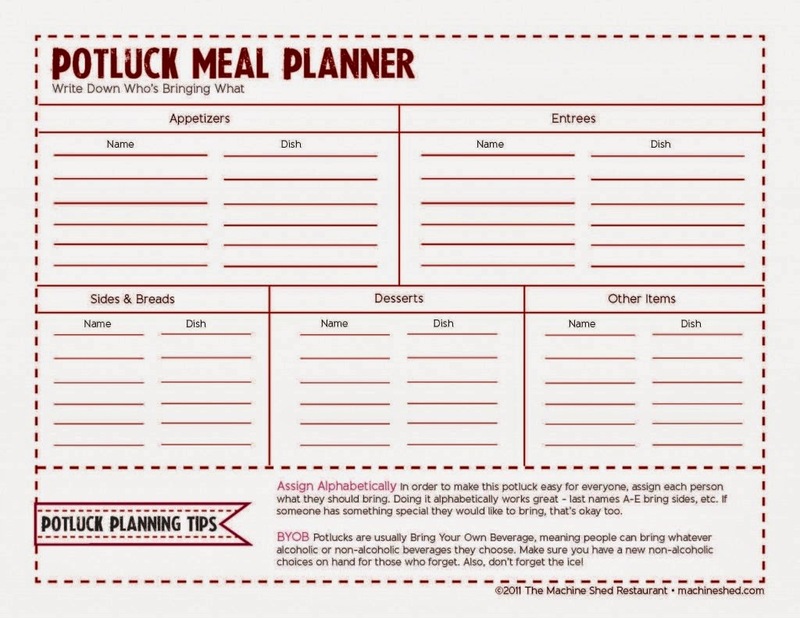 Take a different tack and organize a potluck! So you can spend an entire evening cozy dinner with all your friends, without staying yourself half the time in the kitchen. It is Hugo Tresinie who reveals this amazing recipe for a fantastic evening potluck! A potluck dinner where each guest brings himself a (mostly self-made) dish . All these dishes are placed together on one buffet and shared with everyone. Let the party begin. I think the formula very sympathetic. 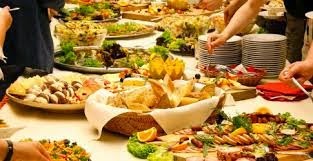 It's cheap, everyone is actively involved in the party, and the buffet itself immediately also provides a lot of conversation. What is this? How do you make it? What's in it?Moreover, it is often a real culinary discovery with many original and unfamiliar flavors and exotic ingredients with which some participants want to excel, showcase their skills, or want to bring a story or message. Personally I like it most of the simplest, original archetype.Everyone just brings their own stuff. Never really disappointing, quite the contrary. You may assume that there is always too much put on the table, and that many will take some of their own or other dishes back home .What is not exactly a problem since everyone had to bring already jars, boxes and bowls . However, there are also slightly more tasks to organize and that need to be distributed. 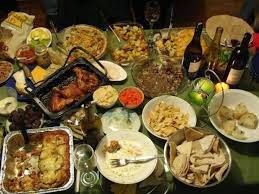 Then clusters are identified, or ask volunteers to provide part: liquor, non-alcoholic, bread, cheese, vegetables, napkins, crockery ... any desired division to get a good spread. This can easily be arranged via mail (or a website/blog) . Another coordinating possibility exists to arrange a theme (eg. Oriental, or first known cookbook, barbecue, Christmas, veggie, ...), or by proposing a division into starters, main courses and desserts intermediate . Also, you can indicate in advance the best material available, and how much. Or ask everyone to either take implies, soup bowls if you provide soup, etc. You can also ask that everyone brings himself a plate, knife and fork .It is usually very cozy to make arrangements to clean up the dishes as well. Hot dishes , create a table for the use of the fire andthe oven. Not everyone can simultaneously be in a warm oven or heat her dish.But all foods do not necessarily need to come to the table at the same time. So depending on how you want to organize the alternative party, you must make clear agreements in advance. Although usually smoothly workable solutions are improvised on the spot. A dishwashing team, newspapers under the hot dishes, a slice of bread and serving spoon, cold pizza ... it's all part of the charm of this kind of casual party. 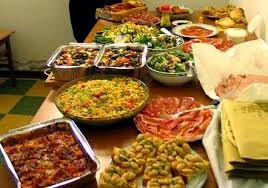 The term potluck would come from a traditionally use to make sure not to waste food. Leftovers were in medieval "afspanningen" (resting places, stations horse turnouts, brasseries) kept in a pot on the fire and kept warm. They were designed to operate and serve quickly in the short term unexpected guests. You got so "the luck of the pot" it coincidence, or maybe luck of the pot. This use is also recognizable in the French name "pot au feu" (pot on fire). Other terms used are repas-partagé (shared meal), auberge espagnol (Spanish inn), buffet supper or canadien (Canadian buffet or dinner). The word itself is to find the first time as a pot-luck in the 16th century work of Thomas Nashe as provide food for an unexpected or uninvited guest ( the luck of the pot). In the sense of group meal, each brings something to share, it dates from the late 19th to the beginning of 20 th century. As a guest you can;depending on the audience to expect; maybe best to avoid three Rs: strange, fiery and dirty. More concretely, the odors of (excessive)garlic, highly seasoned and super spicy dishes, and strange-looking products. Are you a lousy cook, then you can still score with beer, wine, or a takeaway pizza. Definitely a pleasant and surprising low-budget activity groups, neighborhoods and clubs. Let me know when I can come. With my skill failed omelet. Summer is coming, and we look forward all together. A bike ride with friends, a trip to the sea with the (grand) children, a barbecue with the family, yes, even a hefty scrubbing of the garden terrace. It's so much fun at a fine weather. But what if the clapper pass and a real heat wave replaces that blissful summer breeze? Being alert is the message. 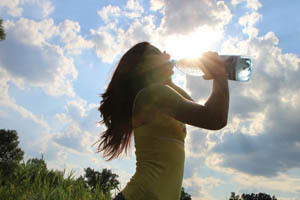 Dehydration, heat stress or heat stroke can occur. San Cooreman - Family Assistance provides help in the heat! The Royal Meteorological Institute (RMI) speaks of a heat wave when at least five consecutive days reach at least 25 degrees. At least three of them, the temperature is 30 degrees or more. If this is the case, then the RMI sends a warning from heat in the media. That almost always accompanied by a warning to ozone peaks. 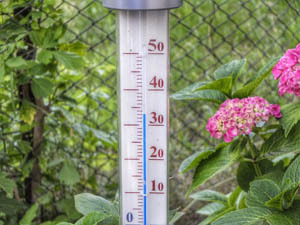 Children, people over 65 and people with chronic illnesses such as asthma or diabetes, should be careful in extreme temperatures. Children are more sensitive to heat because they can not properly regulate their body heat. As you get older one day, this power will be reduced again. In addition, older people are less thirsty incentives and they therefore often do not drink enough. In chronically ill some medications can increase the risk of dehydration. Note, too young (er) healthy people can get difficult to heat. Prevention is so important to us all. How do you recognize dehydration, heat stress or heat stroke? Headaches, cramps in your stomach or arms, and exhaustion are signs of dehydration or heat stroke. Take Immediately Action! Speaking of dehydration when you no longer have enough water in your body. When heat stress or heat stroke affects your body overheat and fail you not to cool yourself. Symptoms of overheating, you should always take seriously. 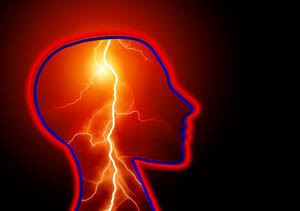 Especially at risk can occur very rapidly , cause severe complications. A heat stroke can even be fatal. Dry mouth, excessive thirst, headache ... This indicates dehydration. Cramps in the abdomen, arms or legs. Exhaustion: dizzy, weak and weary, a rapid pulse or possibly lose consciousness. Correct intervention is done by moving the person out of the sun and / or removing the heat and bring to a cool place. Let him drink water, refresh with a damp cloth. Call a physician. Drink regularly even if you are not thirsty. Water remains the best choice. Alcohol, coffee and sugary soft drinks are not suitable. Did you know drink does drink? A useful tip if one of your roommates should drink more. Set a good example. 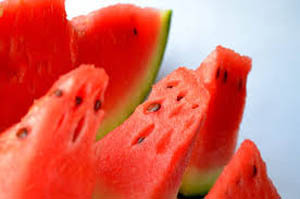 Eat enough, even if you feel less hungry by the heat. Eating fruit is a good idea. It always tastes. Provide cooling and refreshment. Try to keep the heat out of the house by using proper sun protection. Wear light cotton clothing. Refresh your forehead with a damp cloth. Take a refreshing shower. Take it easy during heat peaks. Live at a slower pace: a siesta can! Avoid (heavy) exercise. Did you have anything planned? Suppose then off to the greatest heat is over. Stay out of the sun. Should you still go out, go for shady spots. Sun cream and wear a hat and sunglasses. Drink and eat enough, even if you are not thirsty or not feeling hungry. Water and fruit are an absolute must! Did you know that nursing homes have a heat protocol? In it they describe the actions they take in extreme heat for residents. Also in family caregivers to be alert. For example, for example, caregivers and domestic workers of Family Assistance ensure that their clients drinking enough or they provide some cooling off with a refreshing foot bath. Summer Excursion with your grandchildren? So you keep it safe! Plan your trip so that you are in the heat of the day (within) have shelter. Choose as much as possible for a spot in the shade. Lubricate your sunblock with a high protection factor. Repeat regularly, even if you're playing or in the shade. Wear light cotton clothing. Protect your head with a hat or sun hat and wear sunglasses with good UV filter. The eyes of small children must be protected. Drink plenty of water. A water ice is a good idea to get extra moisture. Your grandchildren will love this too! A contribution from hits _universe as a translation from San Cooreman, manager marketing and communication of Familiehulp (www.familiehulp.be). Join Us For Free On tsú.The Only Social Media That Pays You ! 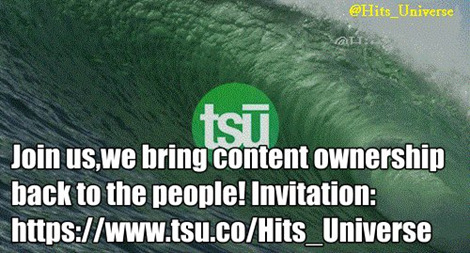 Join us on tsÚ, we're bringing content ownership back to the people! And the best part of it , is actually that TSÚ pays to the free members a total 90% of commission on a daily basis ! YES you read it correctly , your dealing with the only social media company that pays out on a daily basis a total of 90 % commission and you are doing nothing more and nothing less then what others ask you to do for free,while putting the 100 % profits in their own pockets !